Schools in the central Asian state of Kazakhstan will start teaching religion as a compulsory subject this year. "The religion course, previously voluntary, will become compulsory from this year on for all school students," Serik Irsaliyevas, spokeswoman for the Science and Education Ministry, said, reported Reuters on Friday, August 7. She said the courses would be taught by specially trained teachers and will cover "all religions and their history". School courses on religion are a thorny issue in the former Soviet Union where atheism was a state ideology. Last month, neighboring Russia announced a pilot project to allow students to choose between classes in their own religion, a comparative course on religion or secular classes on ethics. The spokeswoman said teaching religion would help promote tolerance in the country. "This is not aimed at raising (religious) fanatics," she said. "We think that the basics of religious tolerance should be formed at a young age." Islam is the dominant religion in Kazakhstan, which has a large Christian minority, belonging to the Russian Orthodox Church. According to the CIA Fact Book, Muslims make up 47 percent of the population, Russian Orthodox 44 percent, Protestant 2 percent and others 7 percent. 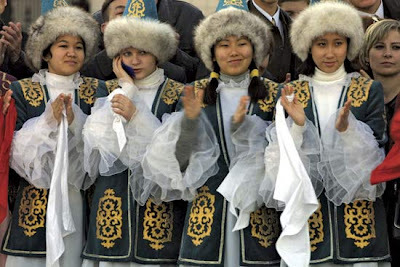 Ethnic Kazakhs are historically Sunni Muslims of the Hanafi school. Islam was brought to the Kazakhs during the 8th century when the Arabs arrived into Central Asia. Islam initially took hold in the southern portions of Turkestan and thereafter gradually spread northward.